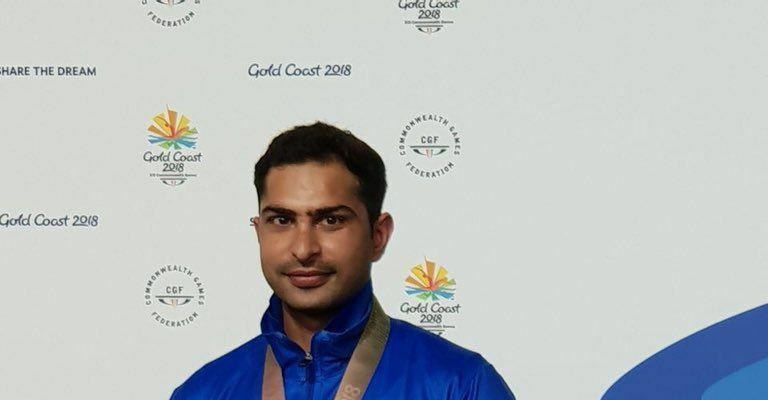 After a good outing on the first day, Ravi Kumar and Arjun Babuta disappointed on the second day as they failed to bag a medal in the ISSF World Cup. Playing his fifth World Cup, Ravi finished fourth while Arjun who made his senior World Cup debut, finishing in the sixth position. Indian shooters Ravi Kumar and Arjun Babuta impressed on the first day of the second International Shooting Sports Federation (ISSF) World Cup Rifle/Pistol/Shotgun stage, which was being held in Korea. However, they followed it up with a disappointing outing as they missed out on medals after an under-par second day as Ravi Kumar finished fourth and Arjun Babuta was placed at the sixth position. Alexander Dryagin of Russia shot a world record 251.2 in the final to take a 1-2 lead as Rio's Olympics bronze medalist Vladimir Maslennikov won silver with a score of 250.2 after the 24-shot final. Hungary’s Istvan Peni, who is also the World No. 1, pipped Ravi Kumar by 0.2 points at the end of 20 shots to bag the bronze medal. Ravi’s overall score was 208.4 despite leading early in the finals. Arjun was also leading at one point but he bowed out with a score of 165.2. In the Women’s 10m Air Rifle, Apurvi Chandela finished at the 10th place as she shot 627, which was the best among the three Indians in the fray. She missed out on a finals berth by a point. On the other hand, the two other Indian women Mehuli Ghosh and Anjum Moudgil finished at 17th and 20th positions respectively.